Exhibit to feature images by noted photographer Shane Sato. Go For Broke National Education Center (GFBNEC) has announced the launching of “Portraits of Courage: Photographs by Shane Sato,” an exhibition featuring intimate color and black-and-white portraits of Japanese American veterans of World War II. 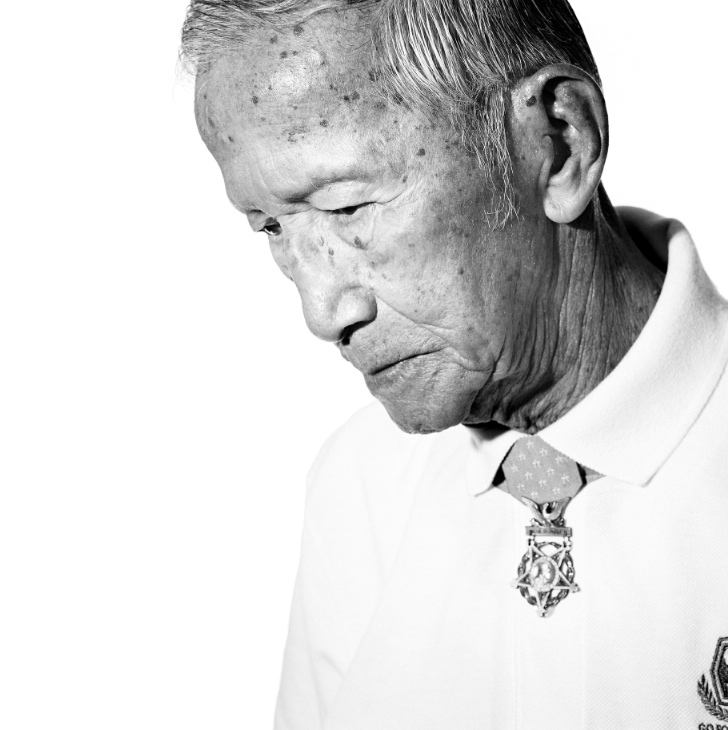 The emotive images capture the essence and character of Nisei soldiers, and reflect each veteran’s story of commitment, duty and patriotism. 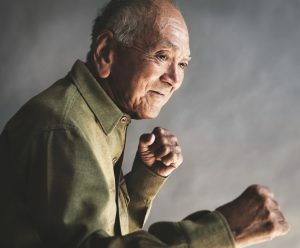 The exhibit will be on display from May 3 to June 10 on the first floor of the historic Nishi Hongwanji building on the plaza adjacent to GFBNEC’s offices at 355 E. First St. (at Central) in Little Tokyo. “Portraits of Courage” will be free of charge during regular hours of GFBNEC’s permanent “Defining Courage” exhibition. Operating hours are Tuesday, Wednesday, Friday and Sunday, 11 a.m. to 6 p.m.; Thursday, 12 to 8 p.m.; and Saturday from 10 a.m. to 6 p.m. Closed on Monday. 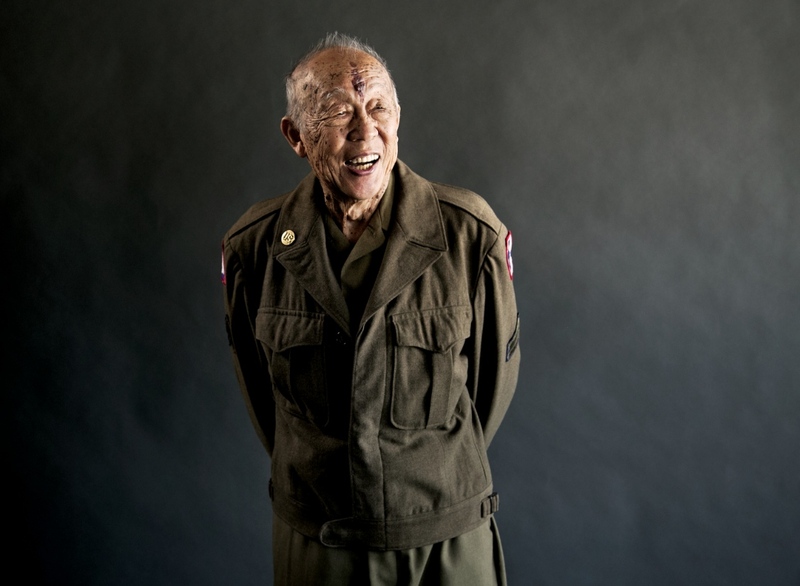 The exhibit highlights images from Sato’s 2017 book “The Go For Broke Spirit,” which includes portraits, personal snapshots and biographies of more than 80 Nisei veterans of the 100th Infantry Battalion, 442nd Regimental Combat Team and Military Intelligence Service. Many of them joined the military from Hawaii, then a territory, or from U.S. incarceration camps on the mainland, where their families remained imprisoned. The renowned 100th/442nd remains the most highly decorated military unit in U.S. history for its size and length of service. 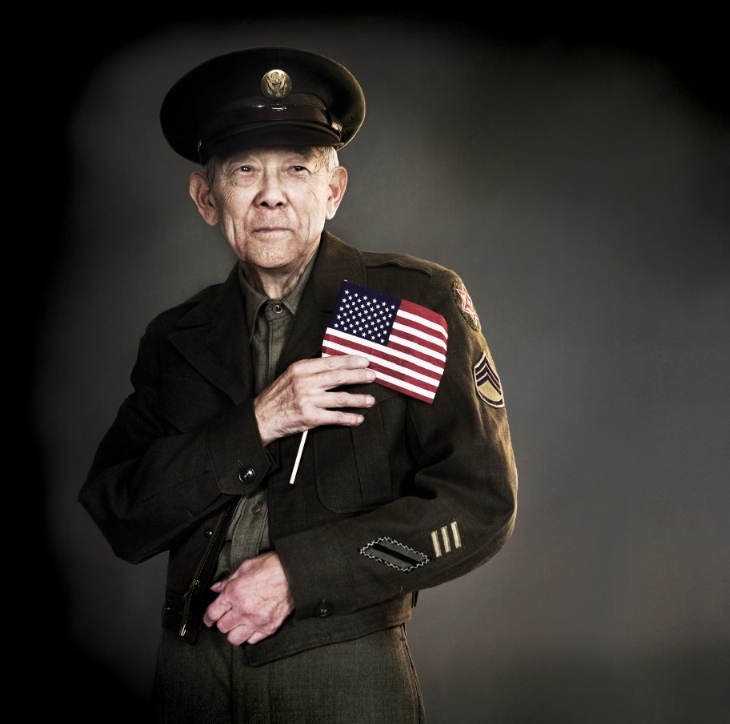 Sato, a Los Angeles-based professional photographer, devoted more than 18 years to the Nisei veterans’ project, initially creating a series of black-and-white portraits and later expanding to color images of Nisei veterans in vintage military uniforms. Working with oral historian Robert Horsting, Sato captured the individual veterans’ personal stories and pictures in “The Go For Broke Spirit.” Sato and Horsting continue their work on a second volume of “The Go For Broke Spirit” that will include more portraits of Nisei veterans from across the country. GFBNEC can also be reached at (310) 328-0907.